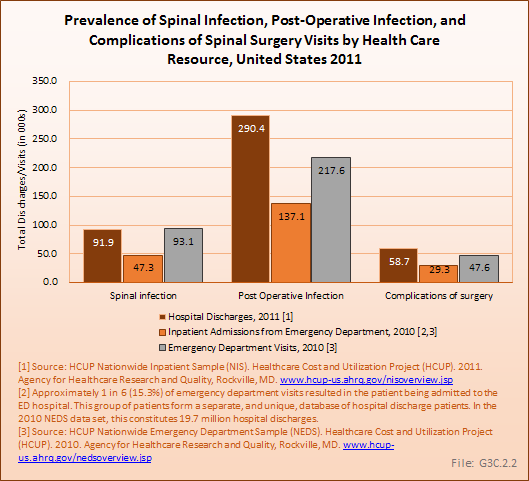 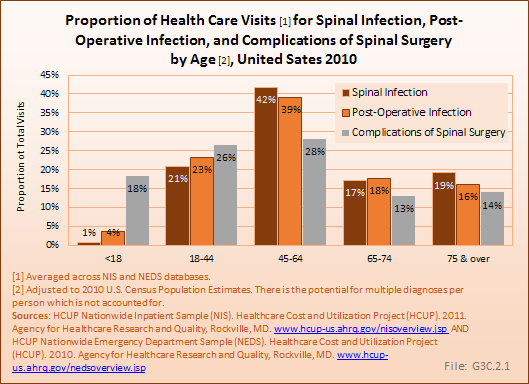 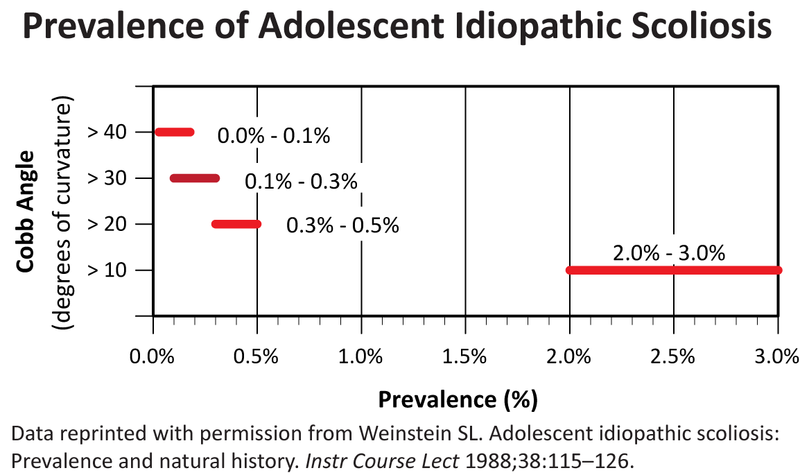 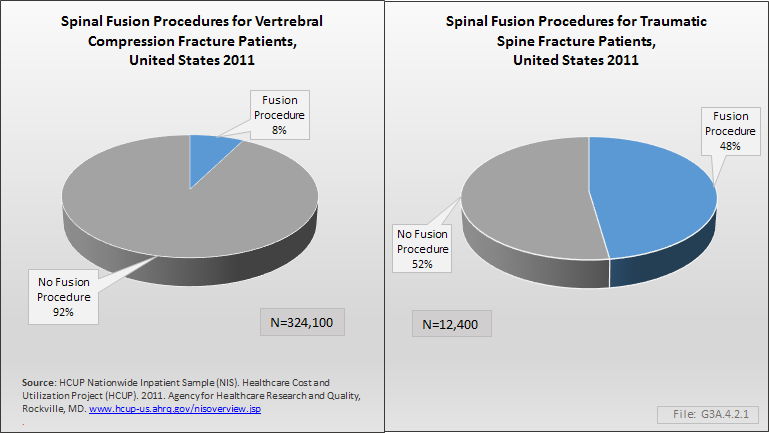 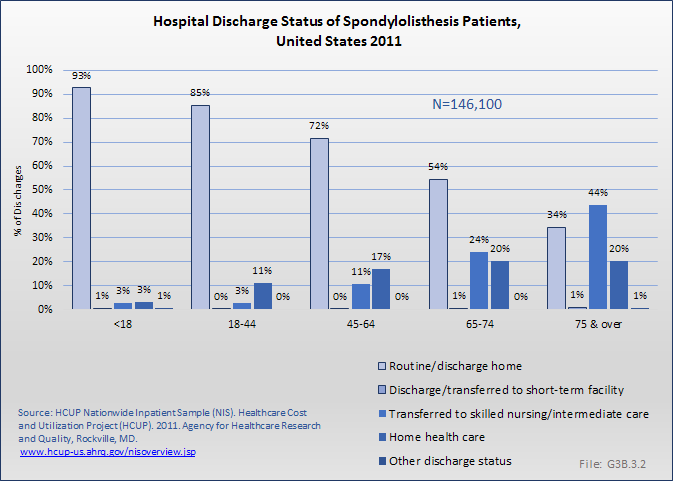 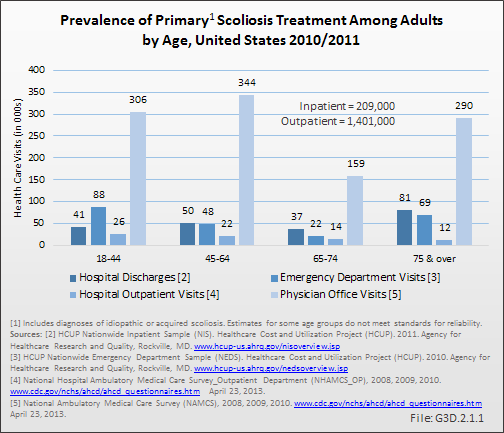 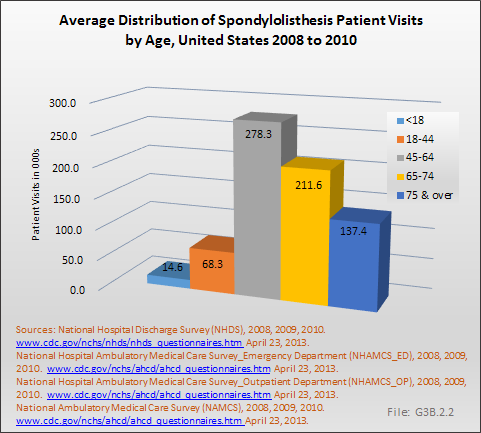 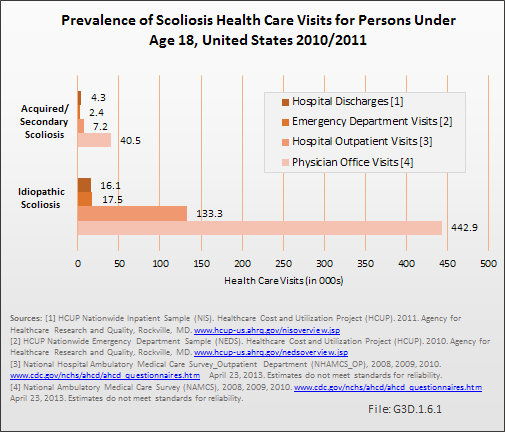 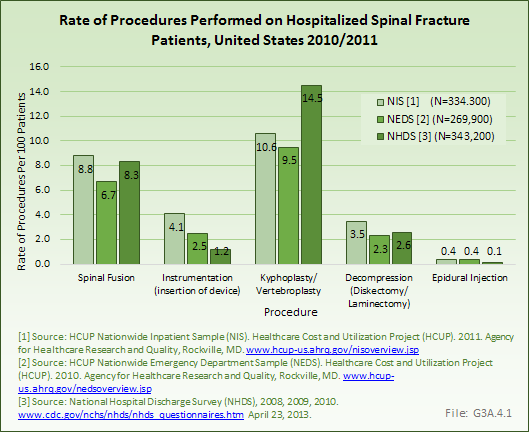 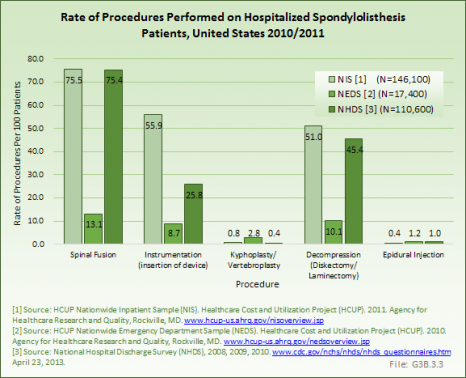 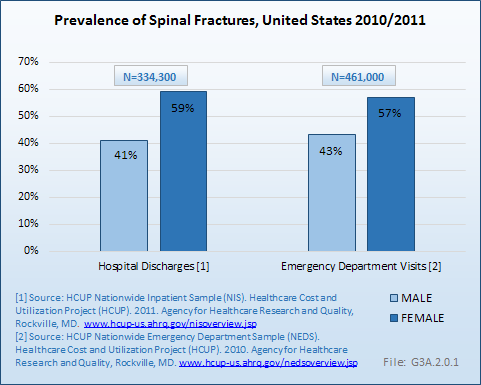 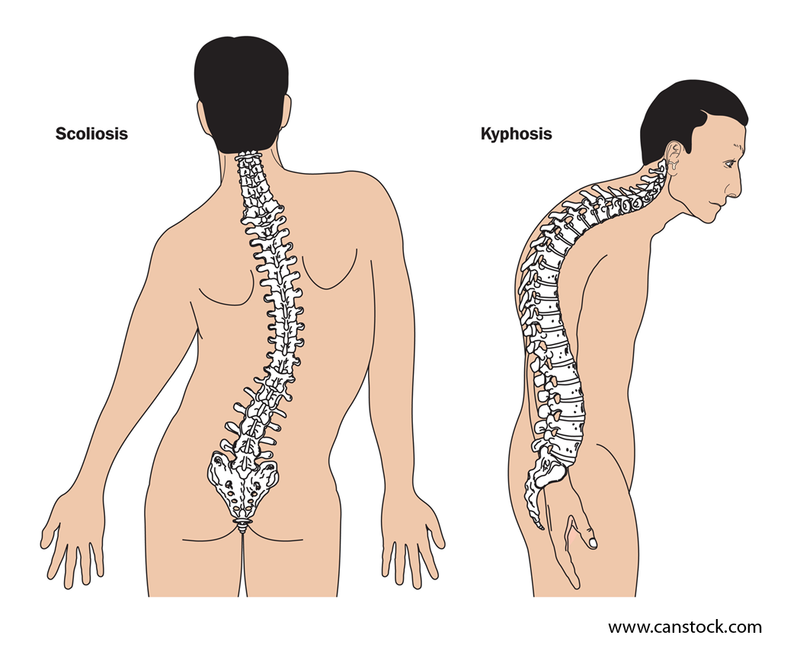 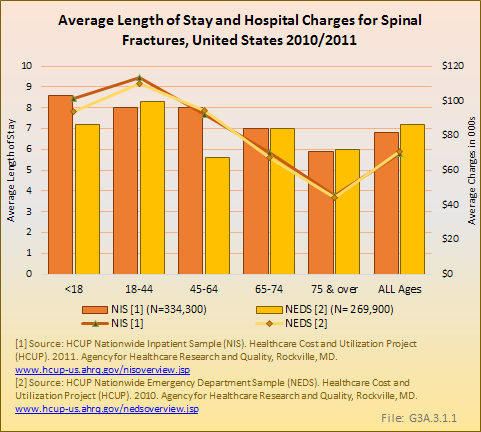 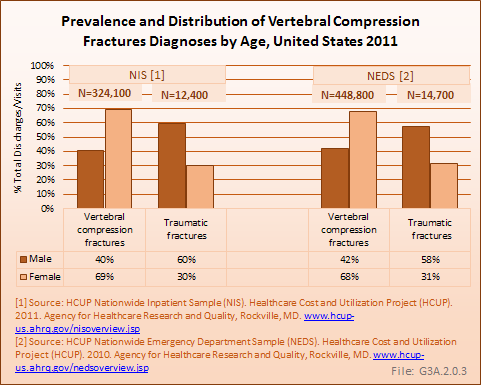 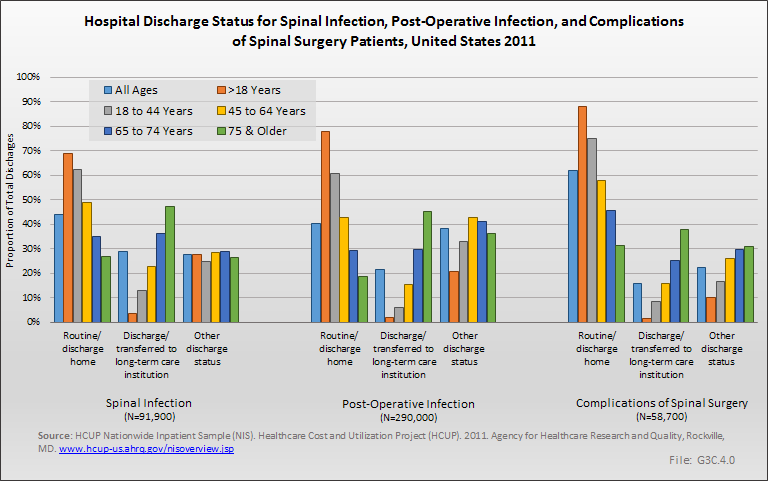 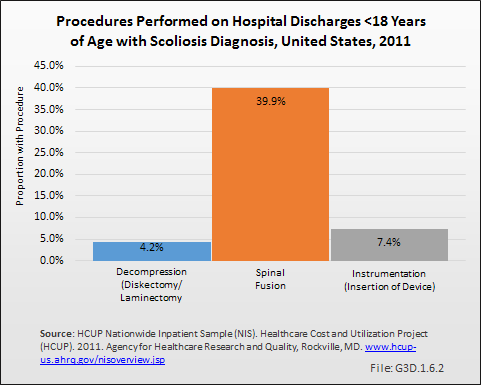 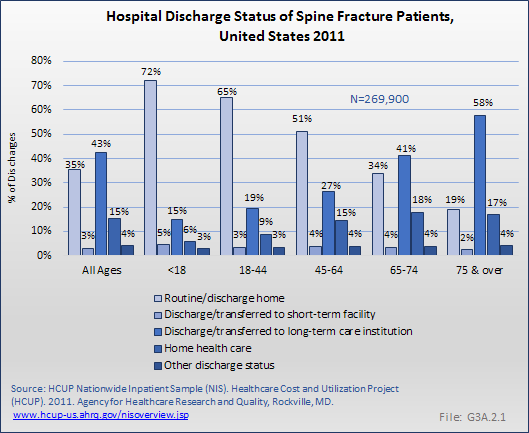 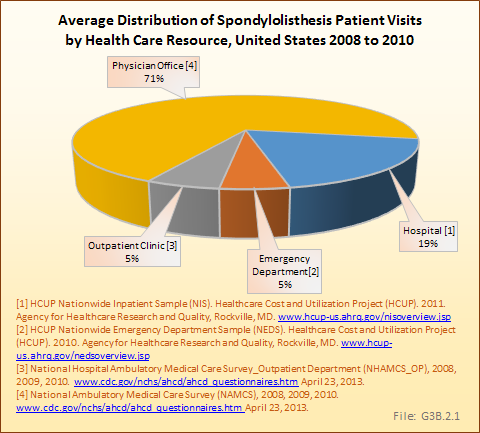 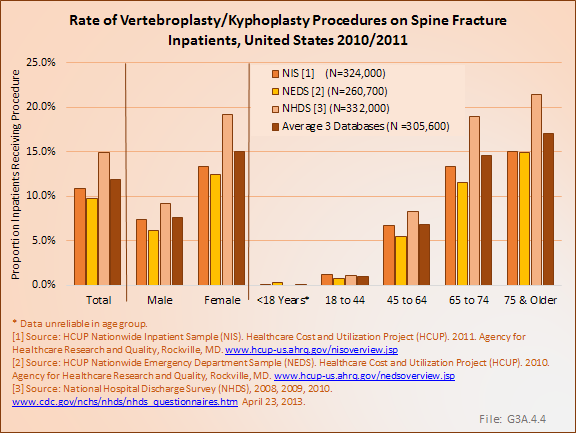 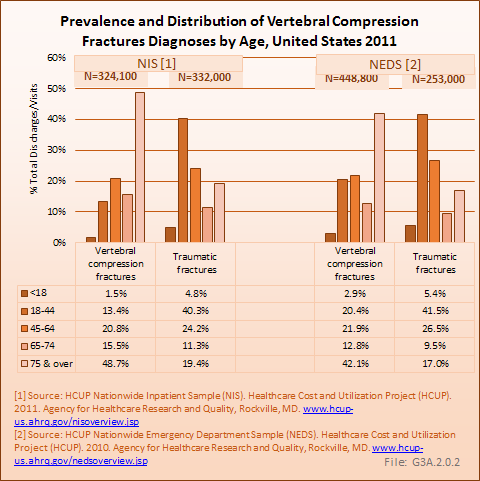 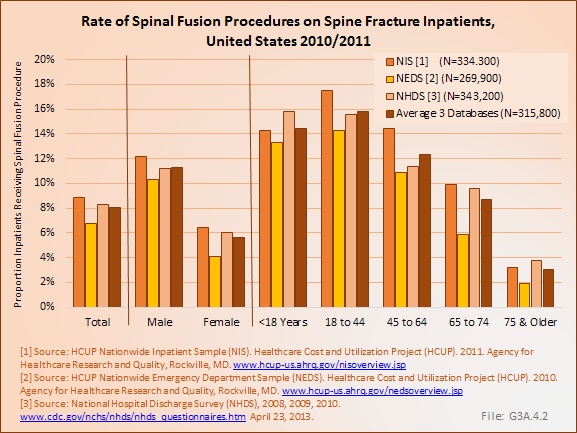 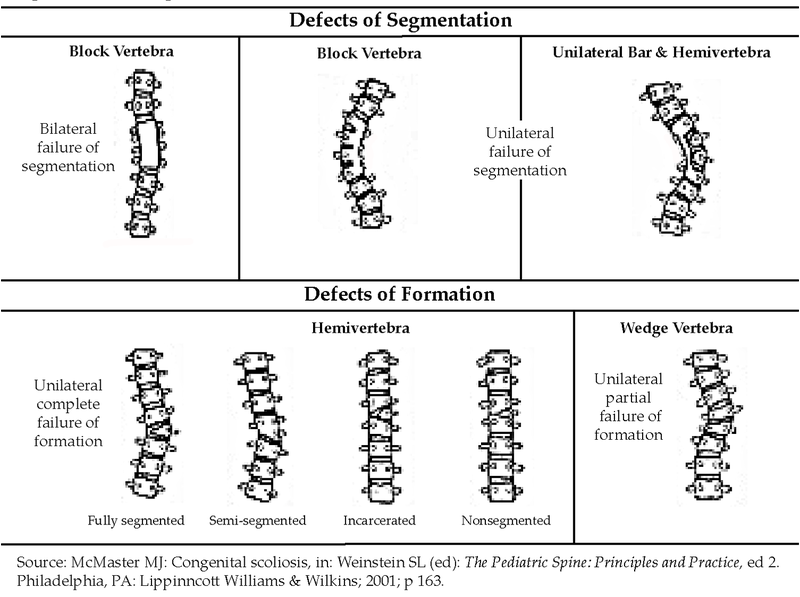 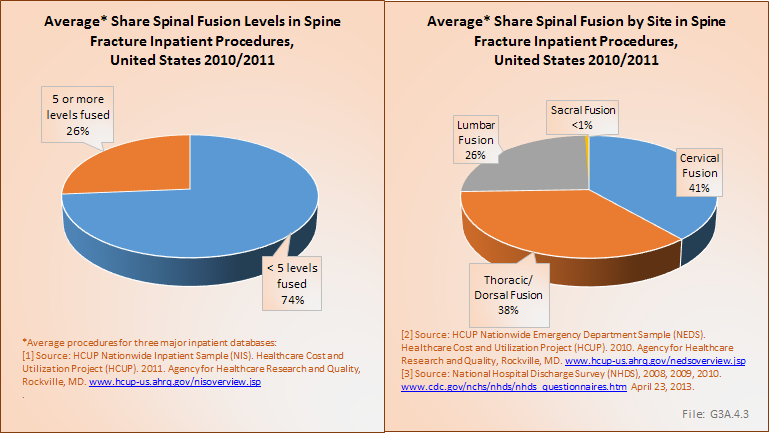 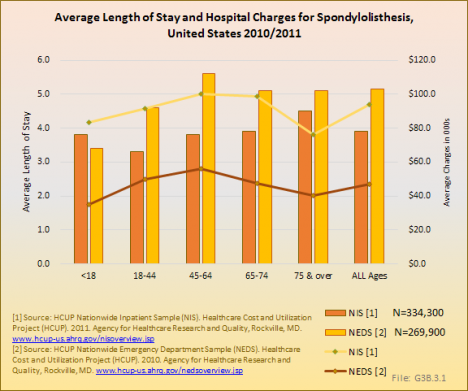 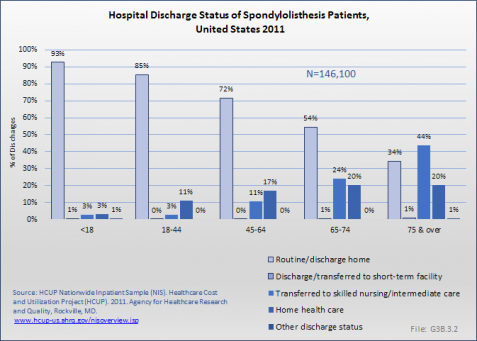 In 2011, there were 146,100 hospital discharges for spondylolisthesis reported in the HCUP NIS database. The average length of stay for these patients was 4 days, and tended to trend slightly upwards with age. 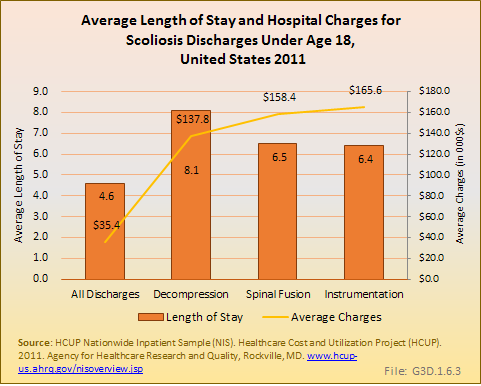 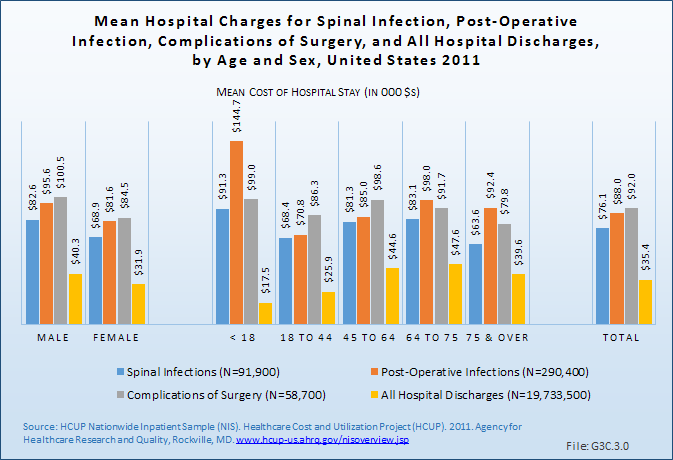 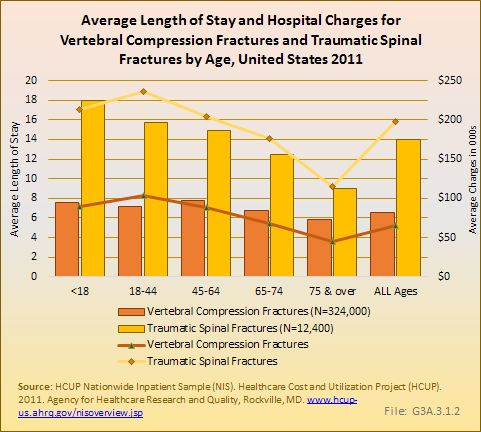 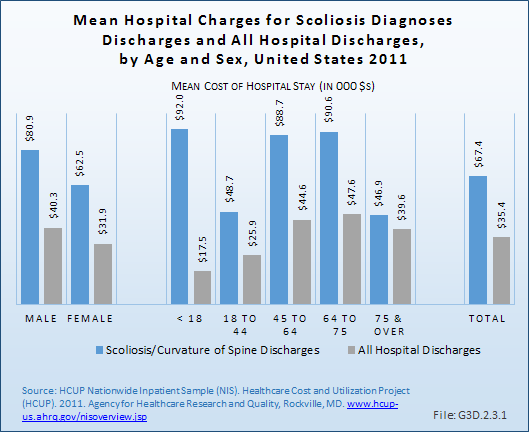 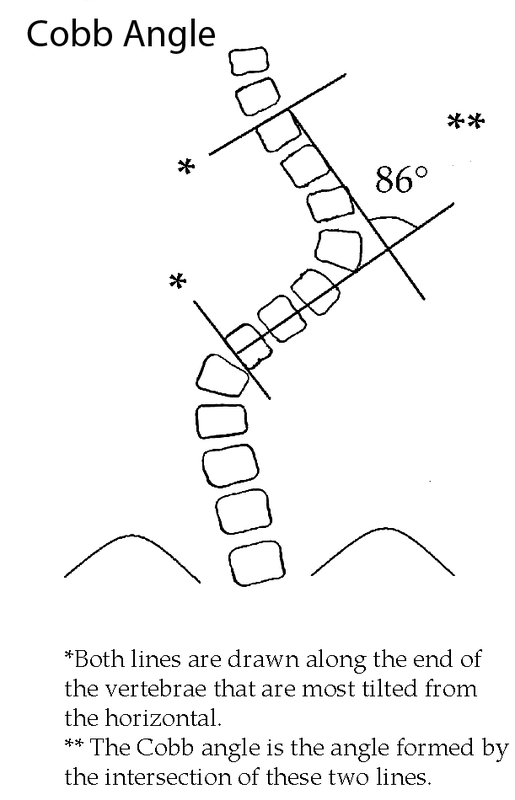 The mean charges for hospital discharges with a diagnosis of spondylolisthesis was $93,900, which was unexpectedly higher than all other deformity codes evaluated and statistically similar to costs associated with hospital discharges for patients with complications of spine surgery diagnosis.